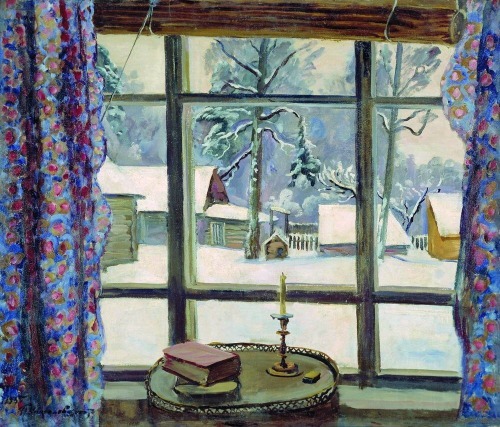 It is Margery Sharp day today, hosted by Jane in honour of the 110th anniversary of Sharp’s birth, and though I haven’t read anything recently by Sharp, I thought it would be a good time to share my thoughts on the two of her books that I have read before: Cluny Brown and The Eye of Love. Neither book turned me into in a great fan, but I nonetheless look forward to reading everyone else’s reviews today. Since I haven’t been reading Sharp this weekend, I’ve kept busy with other authors. My plans for a hermit-like Saturday devoted to reading didn’t quite work out, but I picked up my inter-library hold on Katherine’s Marriage by D.E. Stevenson yesterday and am half-heartedly slogging my way through it. It’s been a while since I read anything by DES and I’d forgotten how mind-numbingly dull her bad books are. There is a reason I didn’t pick this up back in 2012, when I read the bulk of her other books. It is a sequel to Katherine Wentworth and, if anything, might be even worse than that book. I’ll keep reading for a bit to see if it improves at all but hopes are not high. 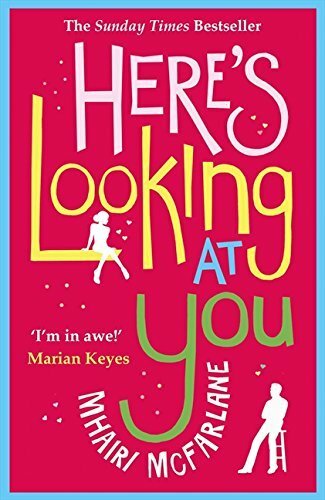 I did finish Here’s Looking at You by Mhairi McFarlane on Saturday. It’s a funny, light novel and I love McFarlane’s style but, most importantly, it is one of those books which had surprising overlaps with a number of my current interests. I love this kind of serendipity. The main female character, Anna, is a history lecturer at UCL (yay! a heroine with a real job! ), who specialises in the Byzantine Empire. She and James, the male lead, are brought together when they work together on a exhibit for the British Museum about Empress Theodora. Since I started reading Guy Gavriel Kay’s Sailing to Sarantium (which I didn’t finish back in the autumn but have now picked up again), I have been fascinated with all things Byzantine so this was a delightful coincidence. But it did not end there: when Anna’s sister decides to get married in Italy, they go to their father’s home town of Barga. I’m in the midst of planning a trip to Italy for this October and Barga, which I’d never heard of until a few months ago, is firmly on the list of places I want to visit on a day trip from nearby Lucca, where we will be staying. I would have still enjoyed this book without these references but I enjoyed it so much more with them. 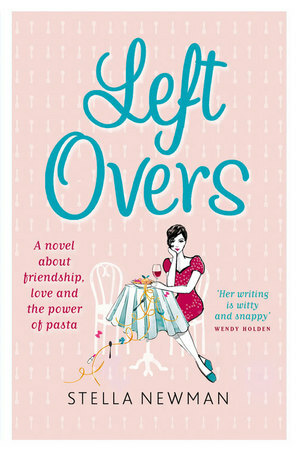 Speaking of chick-lit, I also finished Leftovers by Stella Newman this week. This was one of my NetGalley reads and it was a good light distraction for a very busy work week. Susie, the heroine, is thirty-six, single, and desperately counting the days until she will get her promotion and – with the accompanying bonus – be able to quit. She’s still trying to get over her ex-boyfriend but there seem to be no end of men willing to replace him – if Susie were interested. But this is not really a book about finding love. It is about getting your life together, going after the things you want, and being happy. Oh, and it is also about food. Loving descriptions of numerous pasta dishes had me whipping up spaghetti carbonara (Nigella Lawson’s excellent recipe from How to Eat) the night I finished this. The thing that irked me a bit (other than the seemingly endless supply of men who are interested in Susie) – and I wasn’t able to articulate this until I read Here’s Looking at You and felt the contrast – is Susie’s attitude towards her career. I have more sympathy for books about women whose romantic lives are chaotic or lacklustre than for ones where the heroine is underemployed or just plain unhappy at work. Susie works for an advertising company, with people she dislikes and clients that she absolutely hates. But rather than try to find a role at another firm, she slogs on miserably (despite the urgings of her friends and family). She even talks about how much she loves advertising – and then goes out and does something completely different at the book’s end. Not an entirely satisfying read but still enjoyable in its way. Enough so that I’ve now got Newman’s earlier novel, Pear Shaped, on my Kobo. Now, off to make the most of my Sunday! I enjoyed Cluny Brown, particularly the characters; I confess I didn’t think too much about the structure, but you’re right that it’s not the strong point of the novel. I’m intrigued enough by the descriptions of Margery Sharp’s books to seek out more of them — they certainly sound like she was always trying to do something a bit different, which is encouraging. Maybe there is another one that would please you more, but it’s understandable that after two misses you might stop trying. Books speak to us all differently, and though I love Margery Sharp I can understand why not everybody does. It’s one of the most interesting things about book blogging, I think, that we can have many things in common but see other quite differently. I do hope tbat you are having a lovely Sunday. 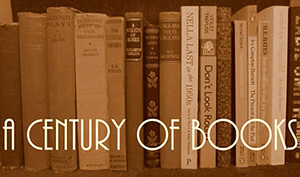 Am going to check out the Newman books. The only Sharp title I can recall reading was “In Pious Memory,” which I enjoyed somuch as I was dating an international finance guy at that time. I must say, I take exception to your comments about D.E. Stevenson. While I did enjoy Katherine Wentworth more than the sequel, I cannot sit by and not protest against it being a “mind numbingly dull” read. I’ve been watching Nigella on The Taste since it started a few years ago. Little did I know she wrote cookbooks. Duh. I recently checked out her Goddess baking cookbook. Love it. Now I want to buy all her books. I love how she ‘talks’ to you through the writing. It’s not just recipes. DE Stevenson wrote so many novels that, with the exception of the Buncle series, I have a hard time differentiating them. But I do remember one or two that felt pretty darn dull. Of course many would say all of her work is dull. For me they start to get dull when they don’t include enough housekeeping details. When its all just country walks and protestation of chaste love I get a little bored. Having said that, I just finished The Two Mrs Abbotts and found it better than MIss Buncle Married but not as good as Miss Buncle’s Book. Kind of funny that the descriptions of Janetta Walters’ fiction in TTMA sounded a lot like Stevenson’s own novels. Do you think she meant to make fun of herself or was clueless?